Rich Johnston‘s “Walking Around” convention posts have become a comic con tradition at Bleeding Cool. 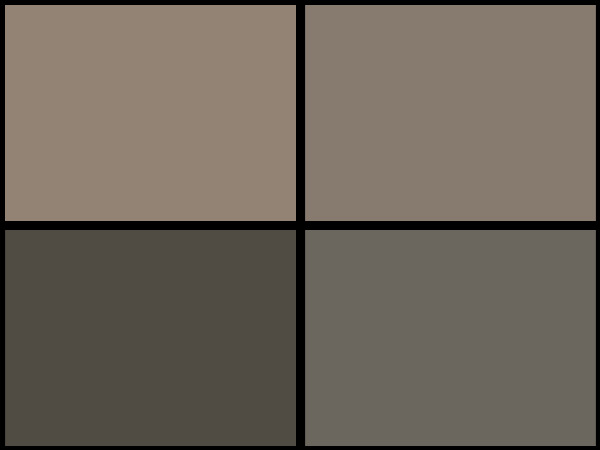 A quick way to get an initial impression of a convention and its surroundings — such as Thought Bubble today, or Brighton ICE Comics Expo in June — Rich’s walk-arounds are simple and effective. It’s almost like you’re there… without having to shuffle through the damp London evening to be there. And yet, if you’re a vintage comic book collector like I am, perhaps you’ve always felt something was missing from these walk-arounds. 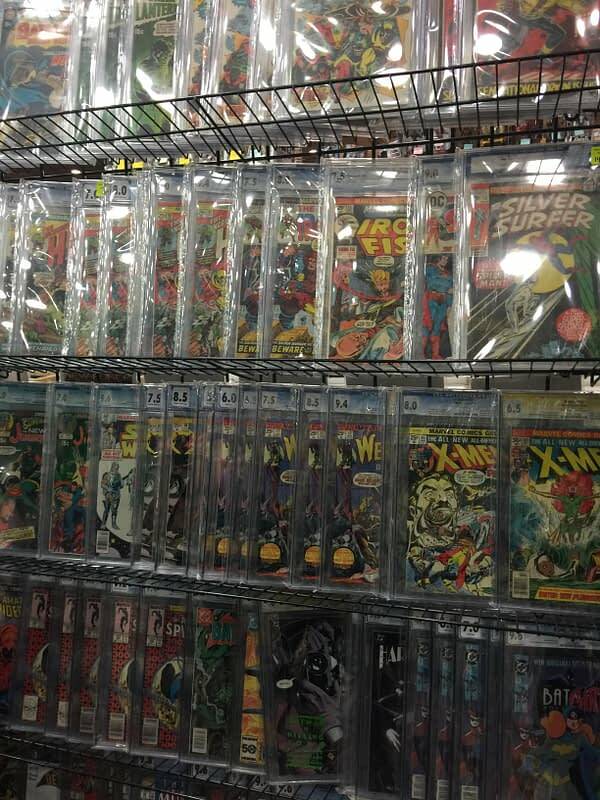 There’s no more entertaining form of window shopping than seeing photos of the displays of vintage comic book dealers at a convention. Who’s got fresh inventory, who’s got stuff that’s impossible to find, who’s got that book you’ve been dying to have… and tragically under-priced at that? It’s an analog experience that you can’t quite duplicate by cycling through your favorite auction site links. 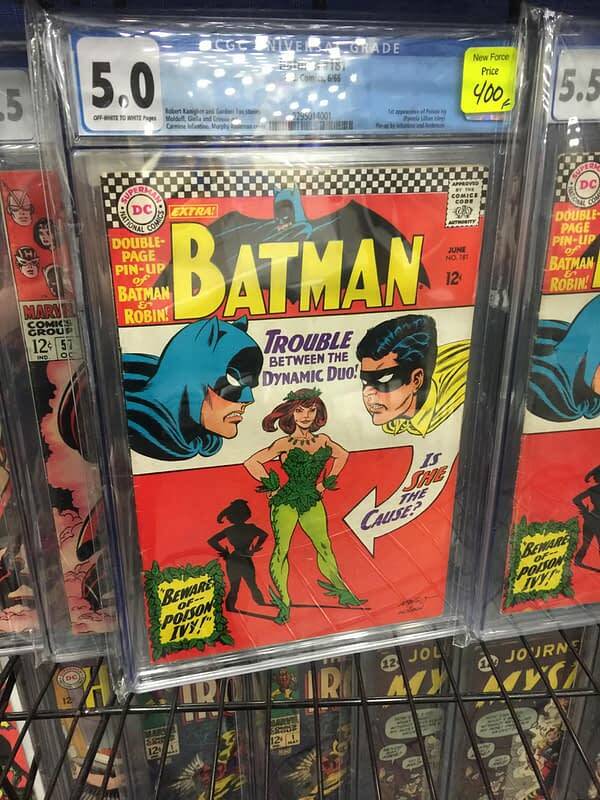 Fortunately, Bleeding Cool’s Lauren Sisselman is a vintage comic book expert herself, so we’re starting a new tradition with these convention walk-arounds: lots of pictures of displays of vintage comic books. 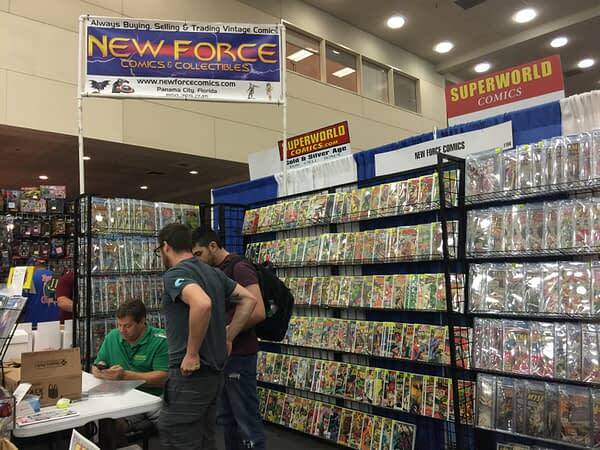 We’re kicking that off today at Baltimore Comic-Con with New Force Comics & Collectibles, which is based in Panama City, Florida, and sets up regularly at major conventions around the country. 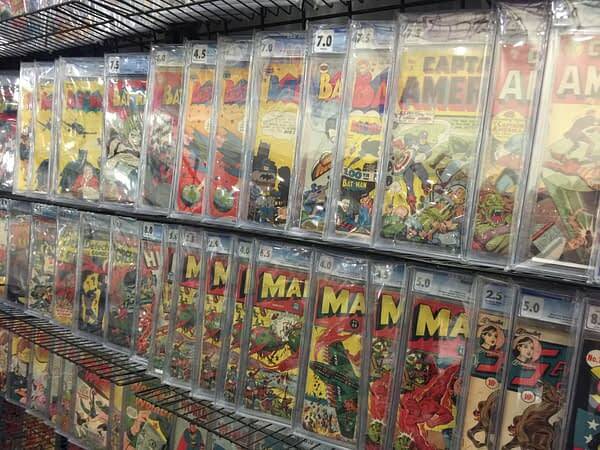 Owner Rick Whitelock has a comprehensive knowledge of the vintage comics market, and is always happy to talk about what’s hot and what’s not when you stop by his booth. Ask him what he likes about Batman #47 — I happen to see he’s got three copies lined up there — or what he thinks about the classic cover of Superman #14. I’m wishing I was there already. But for now, here’s our first taste of the vintage comics available at Baltimore Comic-Con this weekend, with much more to come.